Wednesday 3 April 1946 was an important day for basketball in Western Australia. It was when the original ‘Western Australian Basketball Association’ was formed by a small group of basketball enthusiasts at the Perth YMCA on Murray Street. The sport had already been played across the state for 35 years however there had been no official management or promotion of the sport. The newly formed Western Australian Basketball Association went on to achieve many great things for basketball and eventually saw the sport move into its own Perry Lakes Stadium in September 1962. This year, 2009 will mark another important chapter in the history of basketball as it moves into its second home; the new Western Australian Basketball Centre. The arrival of basketball in Western Australia followed 20 years after the sport first sprung to life in the United States. The popularity of the sport, amongst men and women, crossed the globe and eventually in 1911 found a home in Western Australia. The popularity of basketball in Western Australia grew amongst a small number of ex-Servicemen, organised youth groups, education instructors (particularly at the Perth YMCA) and the Police Boys Clubs. The role of ex-Servicemen in bringing basketball to WA cannot be overlooked. Official records, particularly the register of players from 1948 onwards, show the names of returned soldiers, sailors and airmen scattered through committees and affiliated teams from the day the Association was first formed. Mr John Leonard, a highly respected Perth businessman, athlete and two-time winner of football’s coveted Sandover medal, played a key role orchestrating that first meeting on Wednesday 3 April 1946. 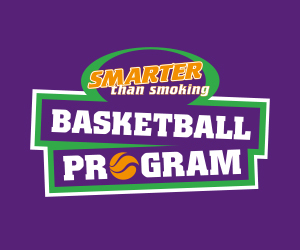 The initial aim of the inaugural meetings was to form a body that would ‘henceforth manage, control and promote the development of basketball in Western Australia’. Their motivation was a ‘deep seated belief in the future of a sport that had captured their interest over many years and in many varying circumstances’. A Basketball Association be formed and named Western Australian Basketball Association. International basketball rules be adopted for the Western Australian Basketball Association. A representative team from the Association meet a Navy team from Leeuwin on Friday 12 April and that the two teams from the Association play each other. Mr. J. Spencer (Assistant Secretary). By 5 June 1946 the Association was well underway for establishing an interclub competition. Some of the first teams to register were The Rovers, Youth Catholic Workers (YCW) and the Subiaco Police Boys Club. One of the first details to be established by the Association was that ‘playing shirts be numbered with 6 inch numerals on the back and 4 inch on the front’. One of the more telling details that this was during war time was that the Association also agreed that ‘If power restrictions allow the competition will commence on 12th June 1946’. That first year of competition saw the Subiaco Police Boys Club with their name engraved on the Associated Distributors (John Leonard) Shield. The first official Western Australian Basketball Grand Final winner. With perseverance the ‘Women’s Amateur Basketball Association of Western Australia was finally formed in July 1957. The general management of the women’s game passed into the hands of office bearers elected from their own supporter base. The pressure on the Western Australian Basketball Association to do something about women’s basketball was first noted at an Association meeting on 26th January 1954, when a letter was received from the Women’s Amateur Basketball Union of Australia advising ‘that the Union has made a decision to form an Association for the playing of a new code of women’s basketball and request support from this state’. ‘While the Association strongly favours the formation of the WABA …… the lack of organising manpower at our disposal preclude any participation in such a scheme at the present time’. Despite this set back, the women continued to train at the YMCA where eventually the first women’s team the ‘YMCA’ was founded with the help of George Mortley. The first team captain was Emily Mortley. Interest in the country was also growing where the country ladies played competitively in Albany under the banner of a ‘Women’s Association’. Finally it was undeniable that the Association needed to recognise the role of women in basketball. On 11 February 1957, the constitution was amended so that the management council had the power to ‘organise and control women’s basketball (international) within the principles determined by the Amateur Basketball Union of Australia (ABUA)’. There is no written evidence however it has been said that the Women’s Amateur Basketball Association of Western Australia was formed in July 1957. By 28th July that year the new Women’s Association launched their first inter-team contests with games played in the Centenary Pavilion, Claremont Showgrounds with 90 participants. By 1959 the ladies game was flourishing in country districts. Groups were formed in Kalgoorlie (Seven teams), Albany (Six teams), Mandurah (four teams) and Busselton (Four teams). By 1960s things were really moving for the Women’s Association. Approval was given by the Western Australian Basketball Association for the ladies to take part in the 1960 Australian Women’s Championships to be held in Melbourne, and 21 teams involving 200 players took part in the winter competition. By 1962 the players moved from the old tin-shed pavilion at the Claremont Showgrounds to the McFarlane Pavilion – a marked improvement. Women’s basketball was now well and truly flourishing in Western Australia. This historical summary was compiled from excerpts appearing in the book ‘The Formative Years. An early History of the Western Australian Basketball Association’ written and researched by Fred Logue in cooperation with Bob Kidner and Don Taylor. 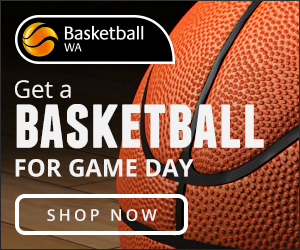 Presented by Basketball WA Inc. Copies are available for purchase for $30 from Basketball WA. 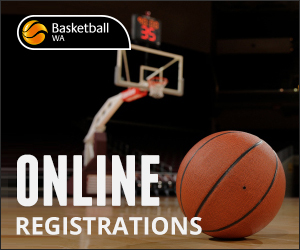 Contact Basktball WA on 6272 0741 or email reception@basketballwa.asn.au.